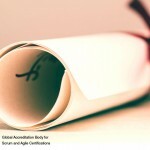 In recent times, additional certifications such as ITIL, PRINCE2, COBIT, PMP and SCRUM have been sought both by professionals and organizations in order for modifying an existing service or for designing a new service to the required business standards. ITIL can be described as a broader aspect in terms of its scope, results and implementations and it emphasizes on IT Governance and improvement of processes in order to meet the customer’s expectations. SCRUM on the other hand can be compared in a little dimension to ITIL by means of Service Transition phase (in relation to Change and Release Management) and can be described as an easier method for achieving quicker results. In short, SCRUM has been found to be very useful while working in dead-lines, faster recovery of services in case of incidents and problems. It can also be used to give a better vision of the status of the project in discussion meetings of clients and stakeholders. ITIL is adept in bringing different IT teams into a single structure in order to work for a common purpose and continuous improvement and modification of processes if required for consistent delivery of service to the customers. ITIL provides for the smooth co-ordination between teams of different departments. Organizations can utilize ITIL to draw a baseline from where they can plan, measure and implement only the required processes for better customization of a service. 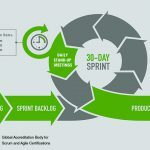 Some companies have implemented both ITIL and SCRUM and their projects have proved that both can co-exist provided the champions of both the certifications have a common goal in achieving their targets. Both emphasize the need for a strong leadership for the project to achieve successful completion. 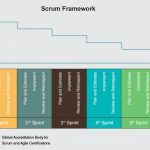 What is the Importance of Scrum Certification?